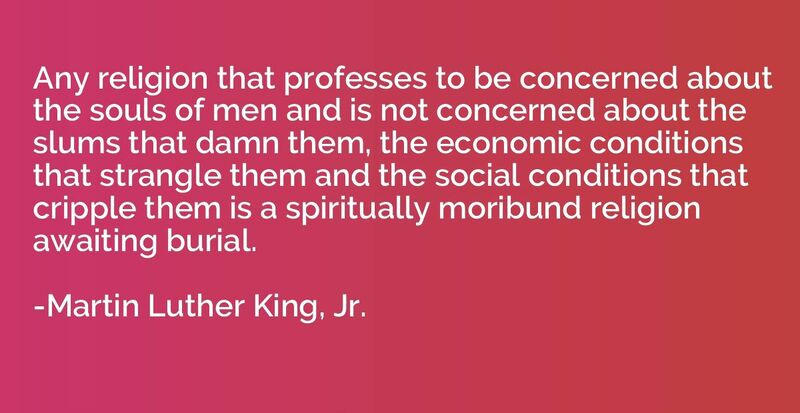 Any religion that professes to be concerned about the souls of men and is not concerned about the slums that damn them, the economic conditions that strangle them and the social conditions that cripple them is a spiritually moribund religion awaiting burial. 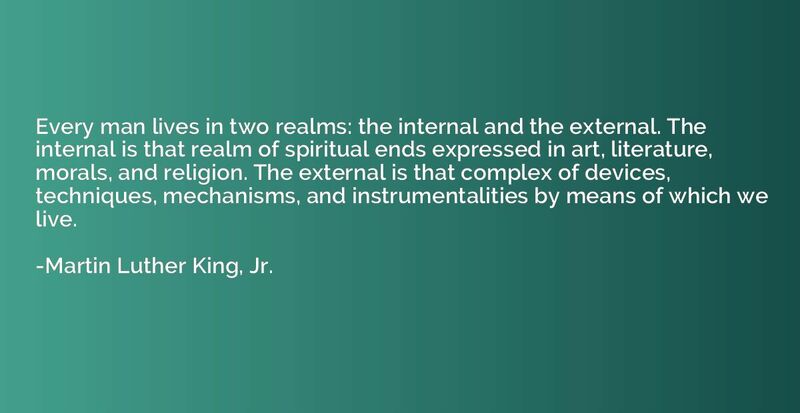 Every man lives in two realms: the internal and the external. The internal is that realm of spiritual ends expressed in art, literature, morals, and religion. The external is that complex of devices, techniques, mechanisms, and instrumentalities by means of which we live. 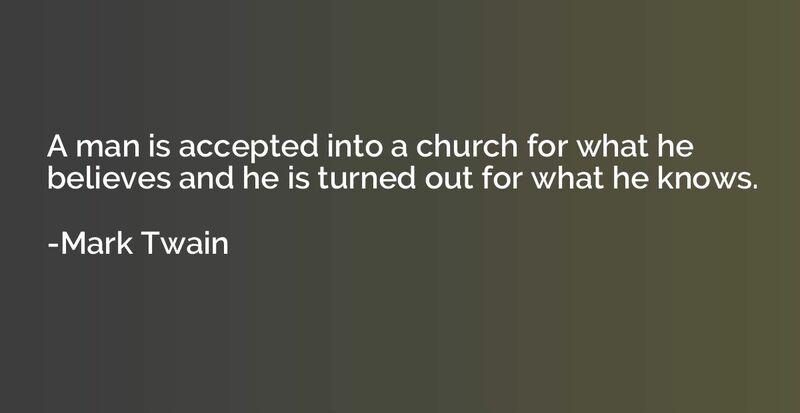 A man is accepted into a church for what he believes and he is turned out for what he knows. 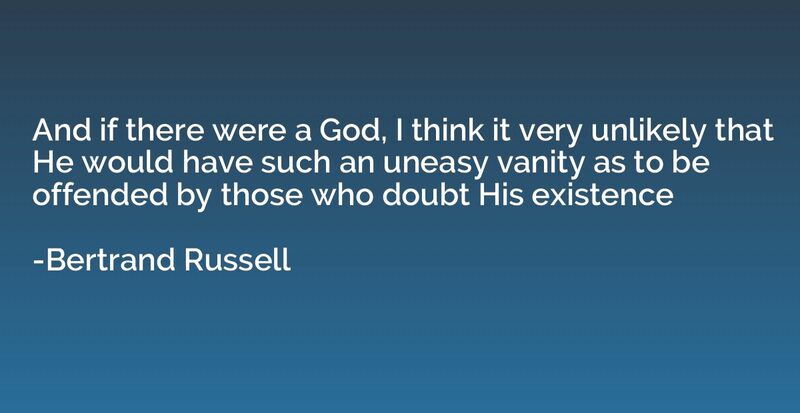 I'm not an atheist and I don't think I can call myself a pantheist. 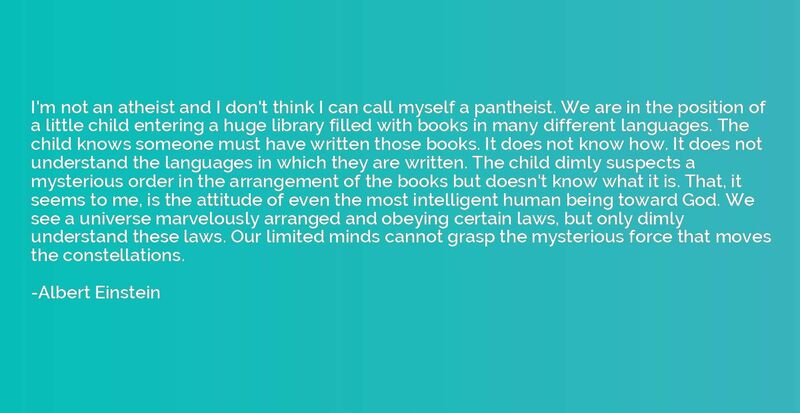 We are in the position of a little child entering a huge library filled with books in many different languages. The child knows someone must have written those books. It does not know how. It does not understand the languages in which they are written. The child dimly suspects a mysterious order in the arrangement of the books but doesn't know what it is. 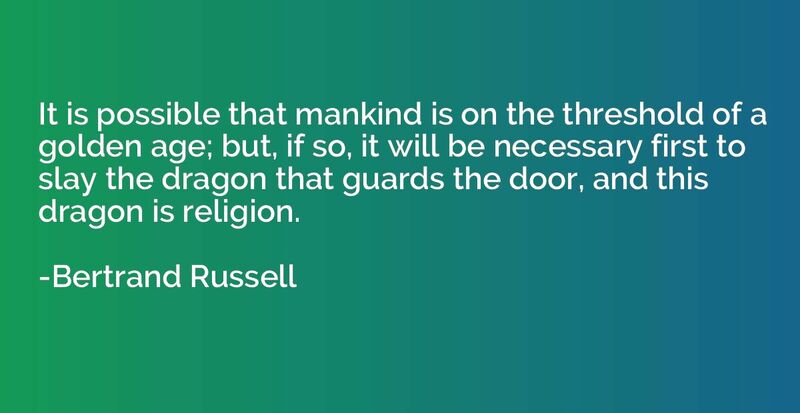 That, it seems to me, is the attitude of even the most intelligent human being toward God. We see a universe marvelously arranged and obeying certain laws, but only dimly understand these laws. Our limited minds cannot grasp the mysterious force that moves the constellations. 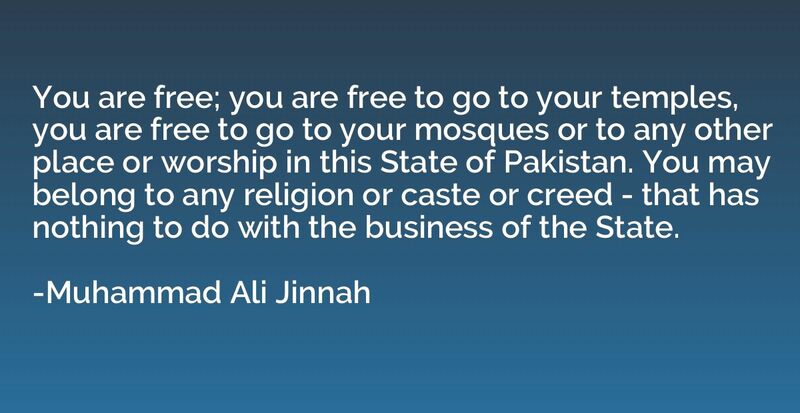 Pity the nation that is full of beliefs and empty of religion. Pity the nation that wears a cloth it does not weave and eats a bread it does not harvest. Pity the nation that acclaims the bully as hero, and that deems the glittering conqueror bountiful. Pity a nation that despises a passion in its dream, yet submits in its awakening. Pity the nation that raises not its voice save when it walks in a funeral, boasts not except among its ruins, and will rebel not save when its neck is laid between the sword and the block. Pity the nation whose statesman is a fox, whose philosopher is a juggler, and whose art is the art of patching and mimicking Pity the nation that welcomes its new ruler with trumpeting, and farewells him with hooting, only to welcome another with trumpeting again. Pity the nation whose sages are dumb with years and whose strongmen are yet in the cradle. 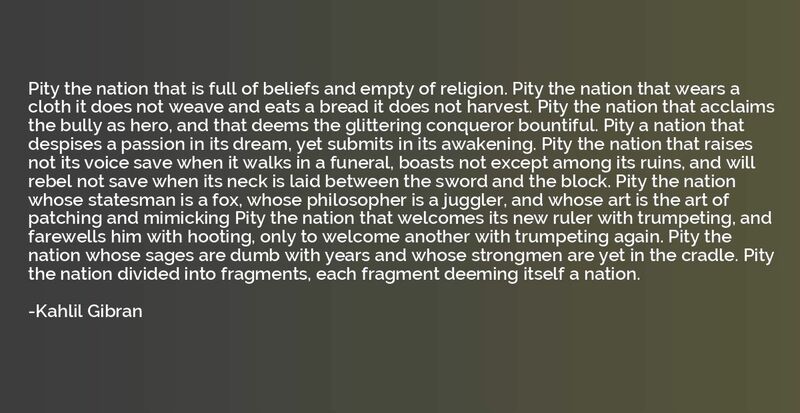 Pity the nation divided into fragments, each fragment deeming itself a nation. 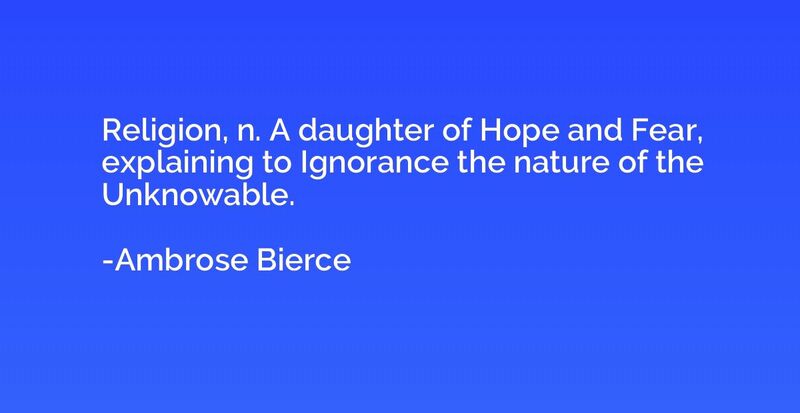 Religion, n. A daughter of Hope and Fear, explaining to Ignorance the nature of the Unknowable. 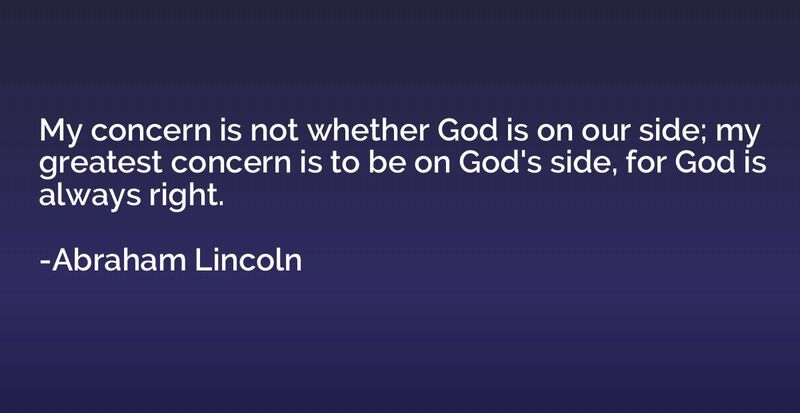 My concern is not whether God is on our side; my greatest concern is to be on God's side, for God is always right. 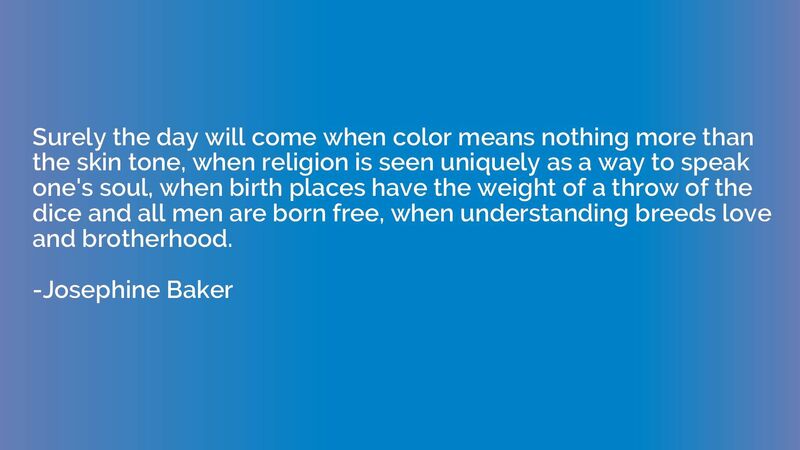 Surely the day will come when color means nothing more than the skin tone, when religion is seen uniquely as a way to speak one's soul, when birth places have the weight of a throw of the dice and all men are born free, when understanding breeds love and brotherhood. 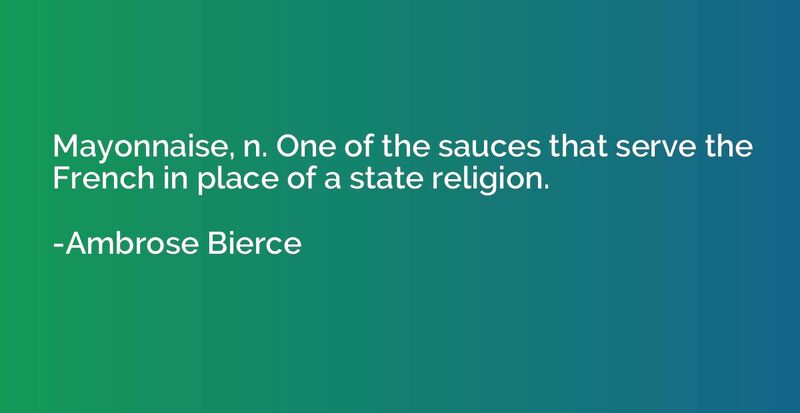 Mayonnaise, n. One of the sauces that serve the French in place of a state religion. 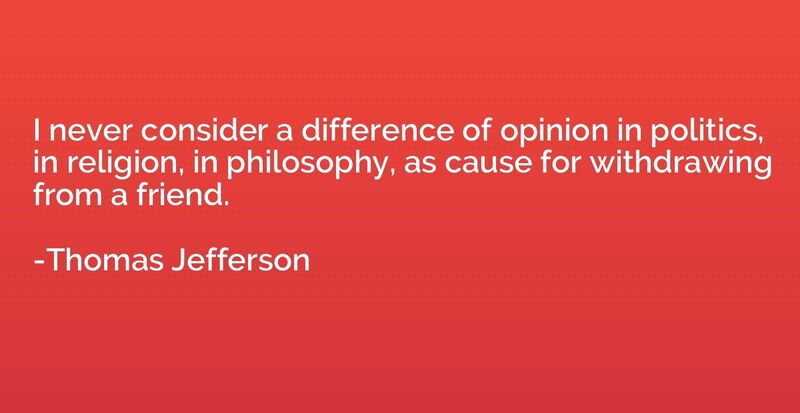 I never consider a difference of opinion in politics, in religion, in philosophy, as cause for withdrawing from a friend. My religion? 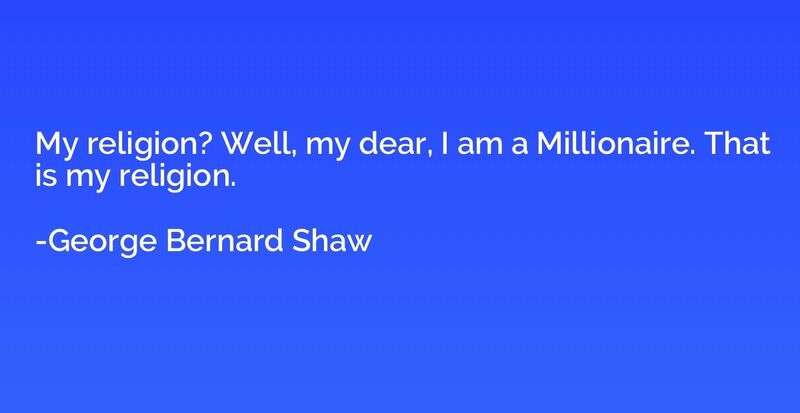 Well, my dear, I am a Millionaire. 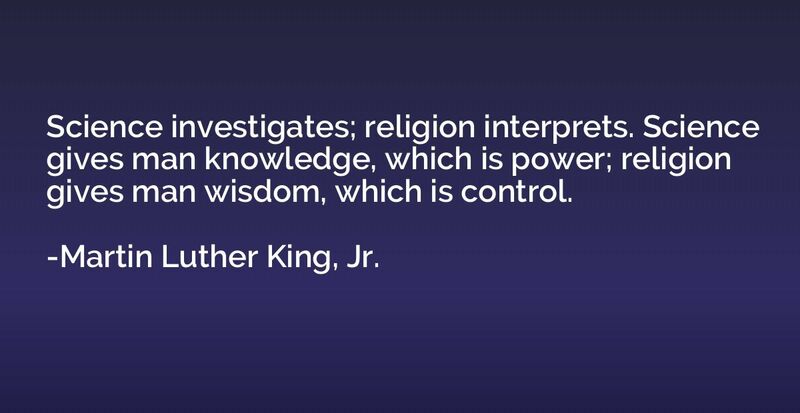 That is my religion. 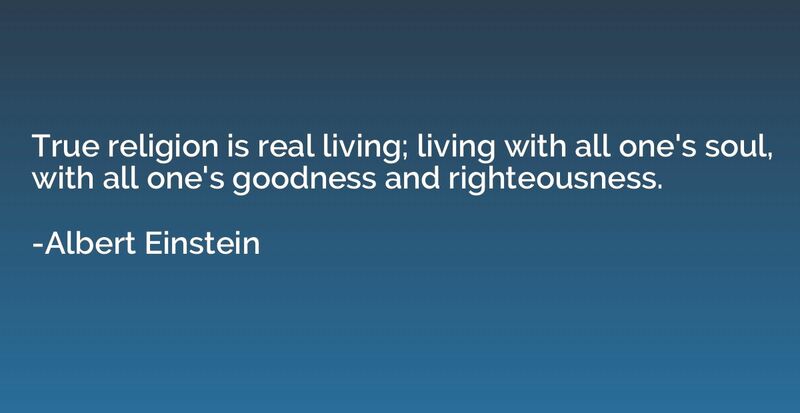 True religion is real living; living with all one's soul, with all one's goodness and righteousness. 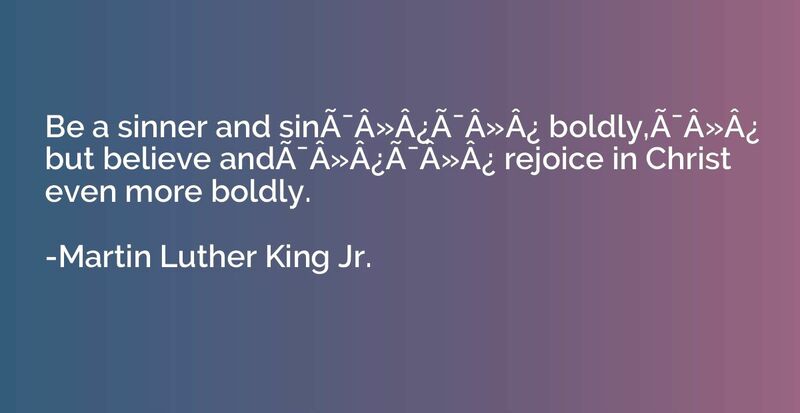 Be a sinner and sinï»¿ï»¿ boldly,ï»¿ but believe andï»¿ï»¿ rejoice in Christ even more boldly. 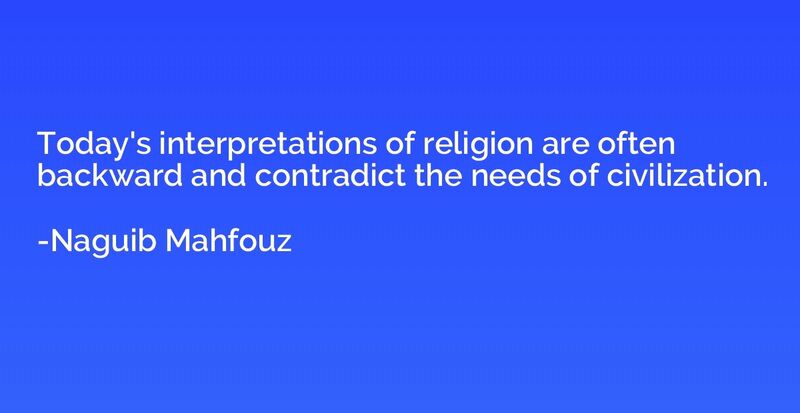 Today's interpretations of religion are often backward and contradict the needs of civilization. 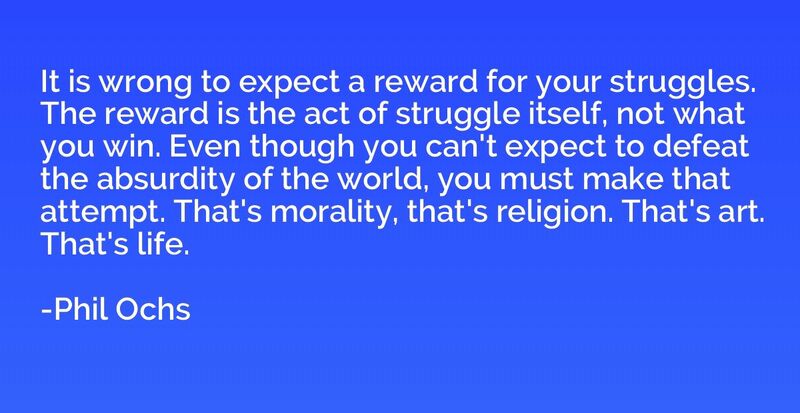 It is wrong to expect a reward for your struggles. The reward is the act of struggle itself, not what you win. Even though you can't expect to defeat the absurdity of the world, you must make that attempt. That's morality, that's religion. That's art. That's life.